*Bluescope CGI Roof and Wall Sheets available for additional $1,400. Applies to all purchases outside of SE QLD. The Cityscape is a beautifully designed 2 bedroom granny flat kit that will last the test of time, offering raked ceilings in the lounge/dining area and large sliding doors to emphasize your blocks' view. 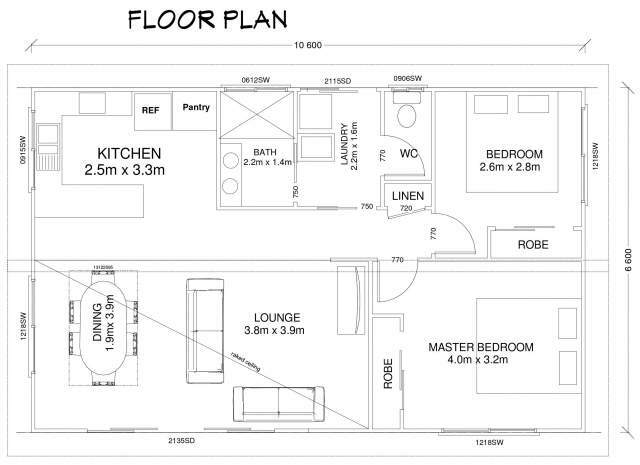 The Cityscape – Brisbane Granny Flat comes with pre-fabricated ready to stand wall panels & roof trusses for easy installation by your preferred builder.